When building a home, many people see the outdoor space is as important as the indoor. If you enjoy spending time outside and want your new home to have plenty of outdoor living space, we’ve got the plans for you. Designed to make the most of the natural environment around the home, these plans often include large patios, decks, or covered porches. These spaces can accommodate a variety of activities or add-ons such as a BBQ area, kitchen, and outdoor fireplace. Whether it’s lounging by a pool or preparing a summer meal on the grill, these homes make it easy to spend time in your own backyard. Depending on your wants, some outdoor living floor plans include full outdoor kitchens with dedicated cooktops and built-in grills. Depending on the plan, you can find raised decks or covered patios that offer shade during the warmer months or screens to protect from pesky bugs. One of the key advantages of these homes is the seamless flow between the interior and the exterior areas. These homes frequently include an open floor plan area inside, and use sliding glass doors to extend the flow right into the outdoor space. This setup can make the inside feel significantly larger, as well as make the outside area feel as if it’s simply an extension of the main living space. 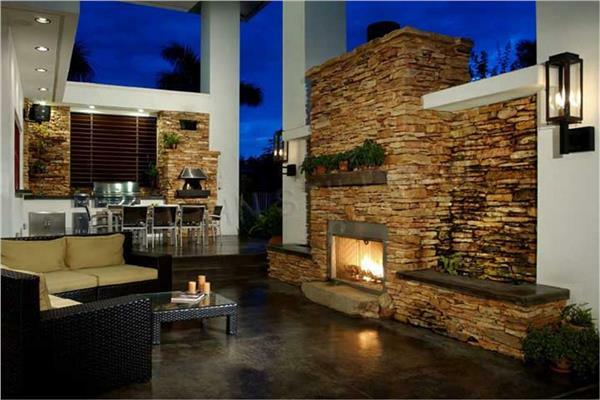 This gives a true indoor outdoor living feel. These plans are available in a wide variety of modern and classic styles, as well as a wide range of sizes, so it’s always possible to find the best fit for any taste. Take advantage of your outdoor space by choosing a plan that truly embraces the surrounding area of the home.